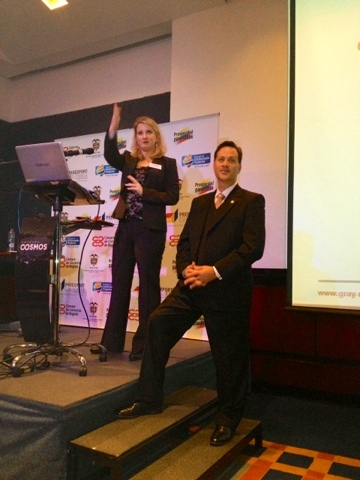 This morning, both Peter Quinter and Melissa Groisman lectured before a group of 250 manufacturers and exporters in Bogota, Colombia to teach them the legal requirements of exporting to the United States under the very recently implemented US-Colombia Trade Promotion Agreement. The lecture focused on the customs procedures for accurately completing the Certificate of Origin and to evaluate how merchandise qualifies as "originating" to get the free trade benefits. 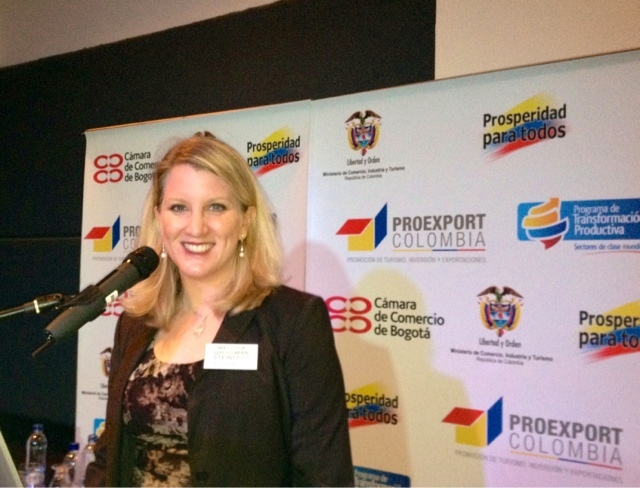 The seminar was sponsored and hosted by the Colombian government's trade promotion agency, ProExport Colombia, and will be followed this week with more seminars in the cities of Cali, Medellin, and Barranquilla. For more details on the seminar series, visit http://www.gray-robinson.com/news.php?ACTION=view&ID=2097. Melissa after giving her presentation. The Question Every Airline Needs to Answer: Why No Cockpit Video? Shipping HAZMAT? Do it Right or Pay the Price! This commentary is informational only, is not legal advice and does not establish an attorney-client relationship. Views expressed are of the individual user and do not represent the views of GrayRobinson, P.A. its owners or its management. You should seek appropriate and properly licensed legal advice before making any decision based on these comments. Peter Quinter, Esq. Theme images by Sookhee Lee. Powered by Blogger.